Our new website is FINALLY up and running. First, thanks to everyone who helped make this happen and thanks to all our customers for their patience and suggestions. If you have never launched a retail website, I swear it’s more work than opening a brick and mortar retail store. So, to celebrate, we’re going to have a party…. a web party. The whole week of Sunday Jan. 19- Jan. 26, we’ll be celebrating. Every day we will be doing something different and hopefully fun on the website. Lots of prizes, games, contests, discounts etc. 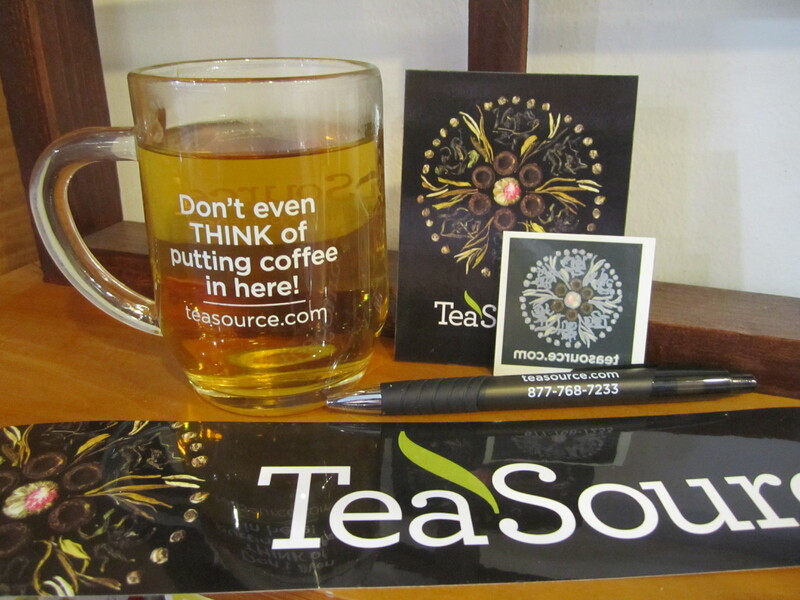 Every web order placed on Sunday Jan. 19th gets a FREE TeaSource Swag Bag containing a TeaSource mug, magnet, tattoo, pen, and bumper sticker. All of our new (December & January) teas will be on the website (and in-store) at 20% off. All web orders will receive a FREE TeaSource cupping journal. This cupping journal is a new item. 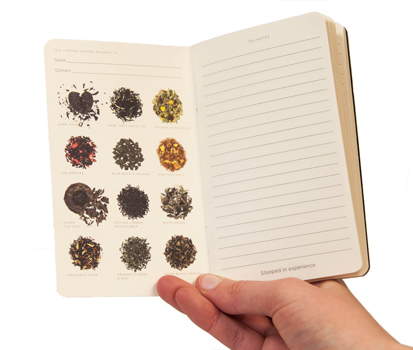 It has 64 pages, is pocket-sized, and is perfect for tracking your impressions of all of the teas you taste. Regularly price at $5.99. We will post a picture on the TeaSource Facebook page and our Twitter feed. Everyone who shares or retweets this graphic between January 21st and 25th will be automatically entered in a drawing for a FREE teapot or teaset of their choice (excluding only Tetsubin iron teaware). Trust me; you’ll be dying to share this picture with your friends. We will be hosting a LiveStream.com event with Bill Waddington owner/founder, of TeaSource, from noon-1:00 pm (central time). Get all your tea questions answered, hear Bill ramble on and on and on about the joys of tea, see some demonstrations of different ways to make tea and more. We will also take questions from Facebook and Twitter. We hope EVERYONE participates. It will just be too depressing if I am out there on Livestream talking to myself for an hour. We will post five questions on FB and teasource.com The answers can be found within our new website. Everyone who emails us the correct answers will receive a coupon for FREE SHIPPING on their next web order (the coupon is good until February 28, 2014). All Japanese teas and tea merchandise will be 20% off today, on the website and in the stores. We will also be featuring informational/educational/fun stuff about Japanese teas. 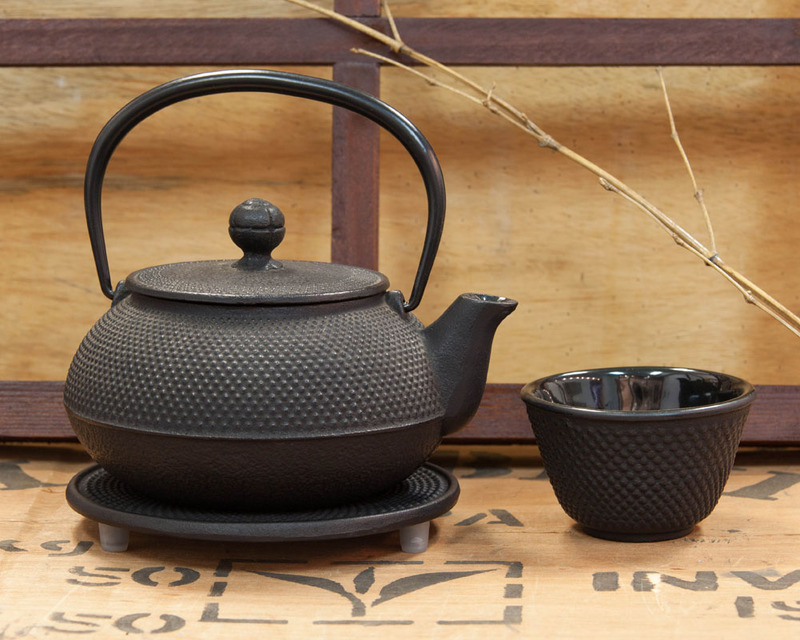 TeaSource will be highlighting the Teas of Japan throughout 2014; this is the kick-off. We are asking all customers to snap and share a tea (or TeaSource) related photo and post it to TeaSource on Facebook or Twitter. Our three favorite photos (voted on by TeaSource employees) will receive $25.00 gift cards. The winners of the share contest and photo contest will be announced and posted. 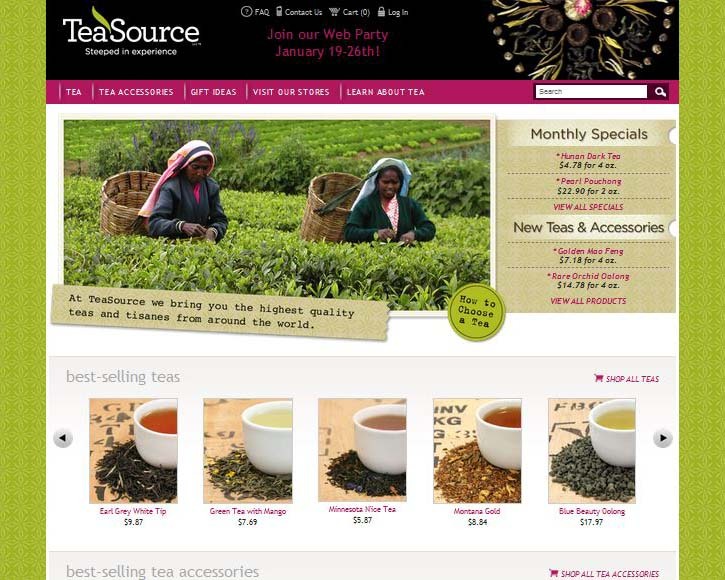 Thanks to customers, employees, and vendors who have made 18 years of TeaSource possible!